Orange Egypt network has been certified by Ookla® as the fastest in Egypt, with a data speed matching international standards and superior to all other networks in the country. This assessment,based on network tests taken with Speedtest®during Q3 and Q4 of 2017,entitles Orange Egypt to claim it operates the fastest network in Egypt and use thecommercial rights of Ookla in its campaigns. 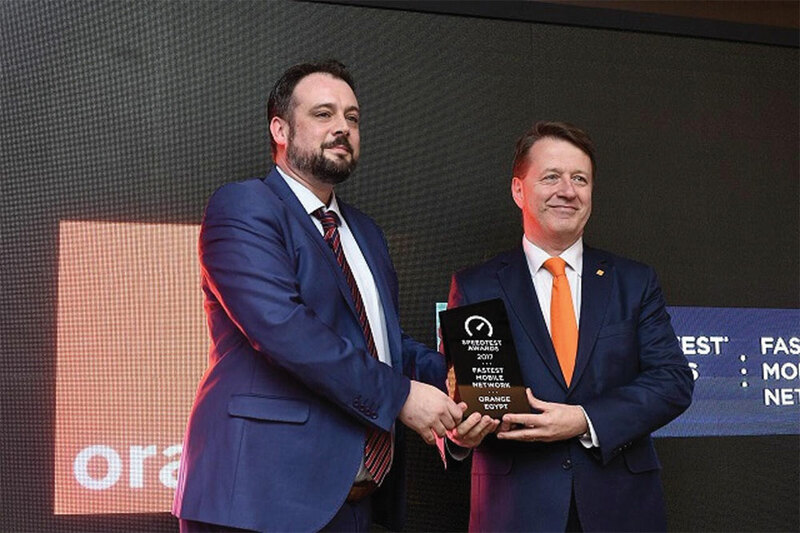 The recognition was announced during a press conference held at Fairmont Nile City Hotel in the presence of Orange Egypt CEO, Jean Marc Harion and the company’s officials, Ookla’s Sales Director of EMEA, Adam Keatingand a number of journalists and media personnel. The efficiency and the speed of mobile networks in Egypt have been tested through a number of standards based on data resulted from tests by the internet users. According to such tests, Ookla Speedtest application measures the speed of operators in a market and based on rigorous analysis determines which performs fastest in the award period.